Do you own a martial arts school? No matter what level of success it has attained thus far, it will be helped by the use of effective productivity tools. One of the wisest investments you can make is buying the best martial arts school software product you can find. This allows you to manage the business as well as keep track of your students in the most efficient way possible. 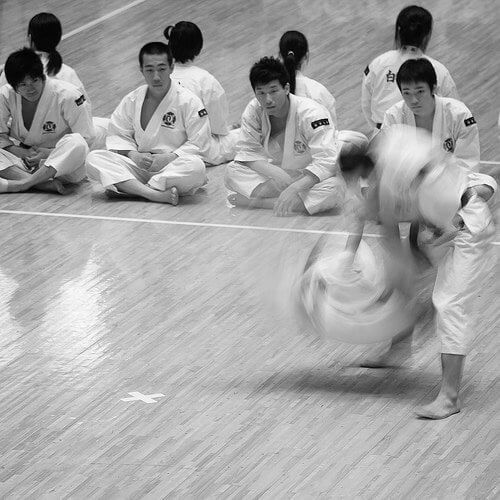 How do you know which martial arts software to choose? You’ll have to put in time doing some research. As tempted as you are to just wing it and go with gut feel, the wrong choice could turn out to be one of your biggest regrets. Software programs can vary significantly in quality, and the difference can make a huge impact on your experience in running the school and the profit you make. At the very least, read martial arts software reviews so you can compare and contrast your options. What are the features you should look for in order to determine which programs deliver good value? First, you want a dashboard that lets you see everything that’s going on. Its layout should also make for easy navigation. From there, you can maneuver your way through the entire program with no trouble. A really good student’s page is a must-have. If you can see every pertinent detail on one page, much better. It should have provisions for notes, reminders, logs, vacations, special occasions, marketing tracking, and document storage. Payment is another concern that you need to remain on top of. It’s good to have a program that will allow you to take control in this area. You’ll be able to choose the frequency of payments, keep track of them, view automatic reports, and follow up on credit card declines and expirations. Also, read on – Software to start online businesses. A comprehensive message center is also essential as an excellent communication tool. You can spread your message to any recipient of your choosing, be it an individual or a group. You can use email, text messaging, voice broadcast, or social media. It should also have management features that monitor prospects, renewals, upgrades, and missing students. You can craft strategies that are in keeping with your priorities. These features will allow you to plan your steps in boosting your numbers. From contact records and appointment calendars to marketing and management tools, your software program should help you achieve a smooth and prosperous operation, leading to ultimate success. This article was published in Technology and tagged Martial Arts, Softwares. IT specialist by profession and a content creator by passion. He is much drawn to technology and is a tech savvy. With his interest on the effects of technology in the business industry, he often spends time reading and researching about gadgets, its advantages and disadvantages, for different kinds of businesses. SEO and Security: Does It Matter?